Welcome to my humble portfolio. I'm a (web) designer located in Sofia, Bulgaria. Reach me via email or skype me. 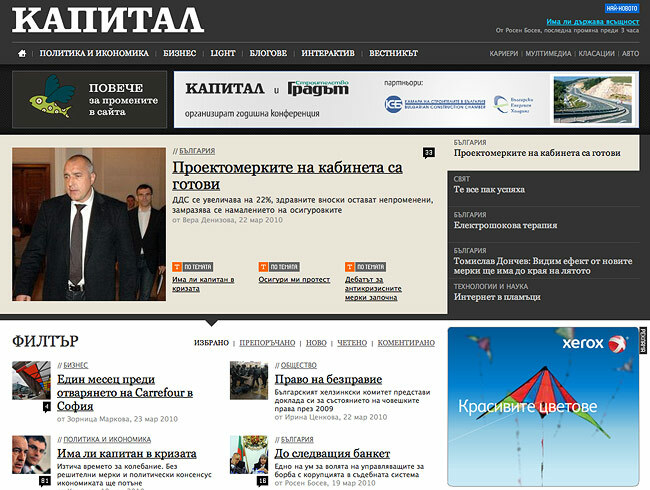 Capital.bg is the top respected source of business news and analysis in Bulgaria. It has strong influence on business stakeholders and decision makers. 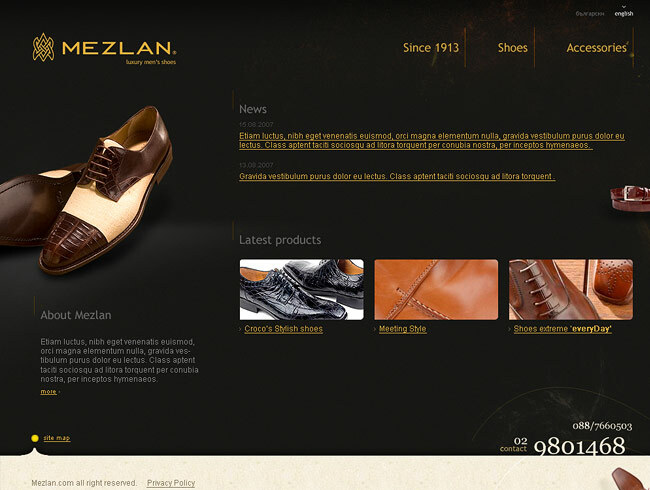 New design launched 15th March 2010. As a chief designer I played key role during the whole procees of redesign. This entirely new platform created additional level of interaction. Users are now able to create polls, suggest debate topics and engage in different causes of public importance. The mobile site of Capital.bg is optimized for easy and comfortable reading in mobile phones. This is the website of the nation's premier business daily. 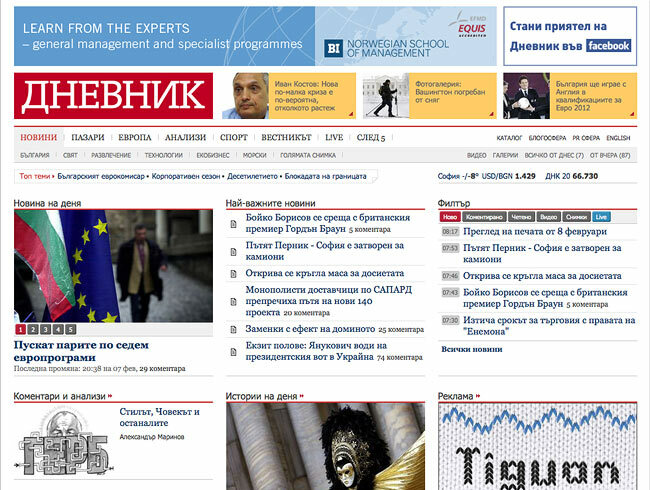 Dnevnik was the first in the Bulgarian newspaper industry with fully integrated print and online journalistic teams. Great example of a constant adventure. Development of the project became a trademark for it ever since it's creation.My engagement is perminent as we condiser overall look and feel, user's experience, design and development of subsites and new features. Web coding (XHTML & CSS) of the entire project is all in my hands and so far I'm doing pretty good. 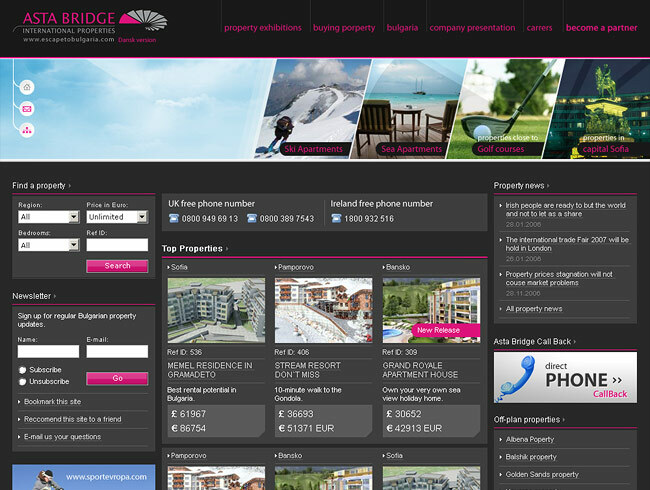 Base layout design was developed by CogGraphics. One-stop site for information on job listings, education opportunities and human resources. You can find the latest job vacancies, useful career advice, recruitment news and in-depth articles on the development and management of human capital. HR experts blog on issues relevant to their professional community and more. The site forum is a popular destination for jobseekers to exchange views on prospective employers. Simple and sweet, the one and only e-shop of economedia. There always be something fine for you there. Thrilling travel blog with live updates - blogging, videos, photos from different locatings every day! 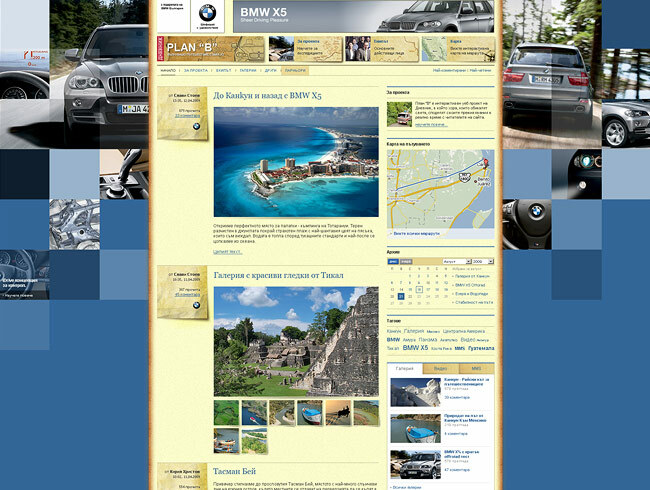 With the appreciated support of BMW. 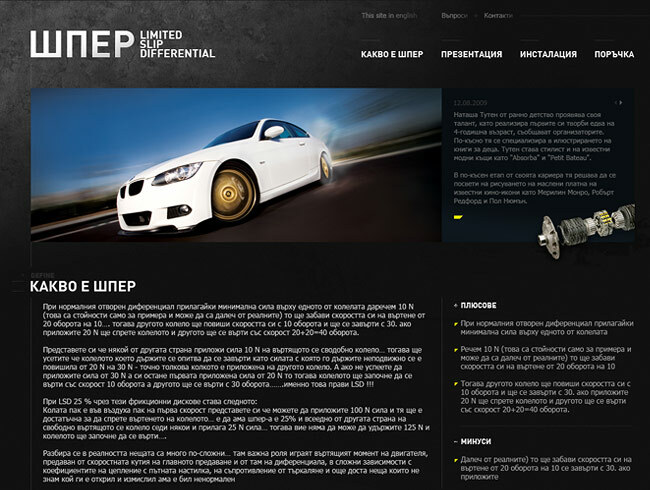 This was a complete ad proposal for BMW Bulgaria - plan, project, branding, design. One of our secret weapons. This is the Banner ADMinistration of the economedia's web sites. 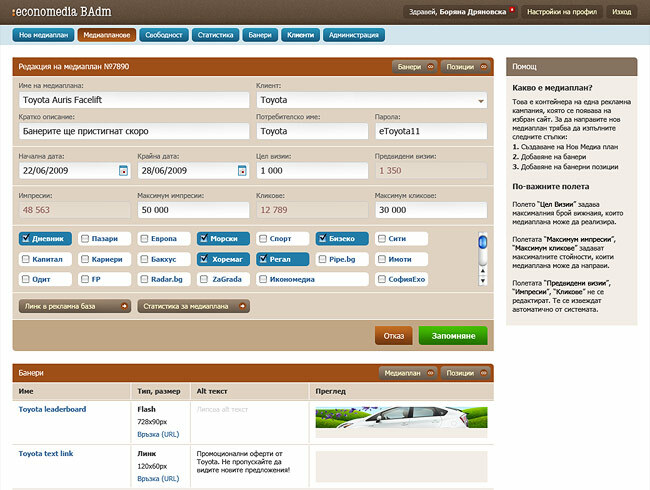 Very important web application for anyone who is one step closer to e-trade on daily basis. Important requirement for the project was to be light-weight so I used CSS3 and some advanced css features to optimize my code. 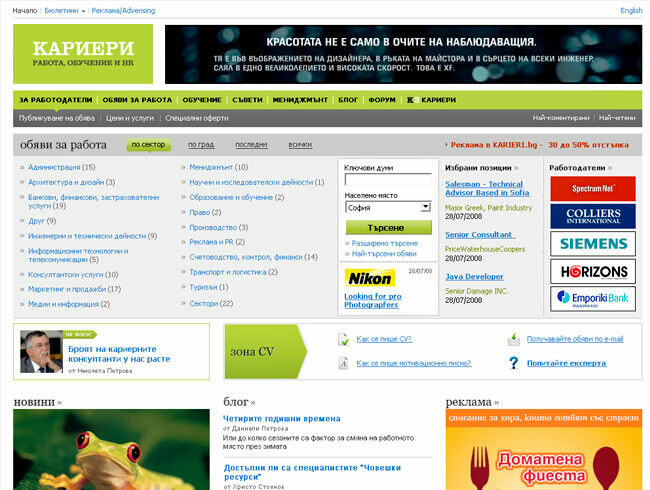 The best and most visited web site devoted to Bulgarian IT news, software, hardware and games. A great deal of usability issues were involved here as I considered the huge amount of unique visitors. It's not just about this one. It's about all of them. Just a reminder of how many "property" web sites I have designed in my life. Here I did something for the teenagers. They seem to love this place and probably there is why. I've created base layout design and since then it evolved a lot. Nevertheless it stays on the top the heap of the leisure sites in Bulgaria. It happened so I produced the leyout design for this projects. The bulgarian branch of Cosmopolitan seemed rather pleased with it. I love creating small and simple web sites. This is just one of them. When you work over projects like this you have understand the driving force of the web site. The rest is pretty easy. It's fun to work over something you have no idea about. This was kind of challenge and thrill packed with the freedom to express my own view. Eventually it came out very clean and well-structured layout. This site is licensed under Creative Commons BY-NC-ND. 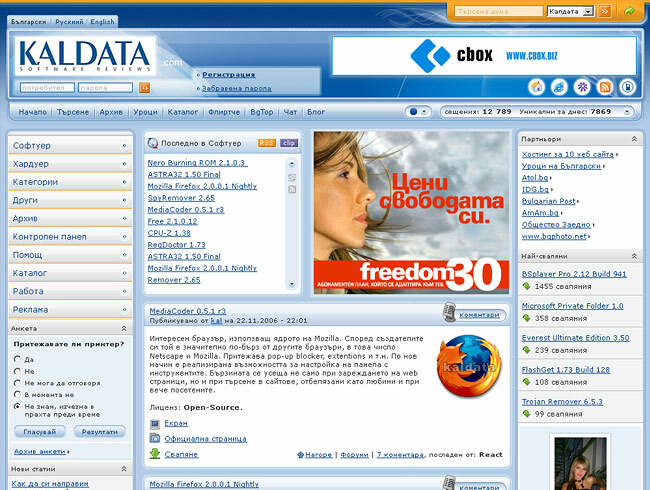 Probably you are looking for a browser upgrade? You can try Firefox, Safari, Chrome or a greater version of Internet Explorer.